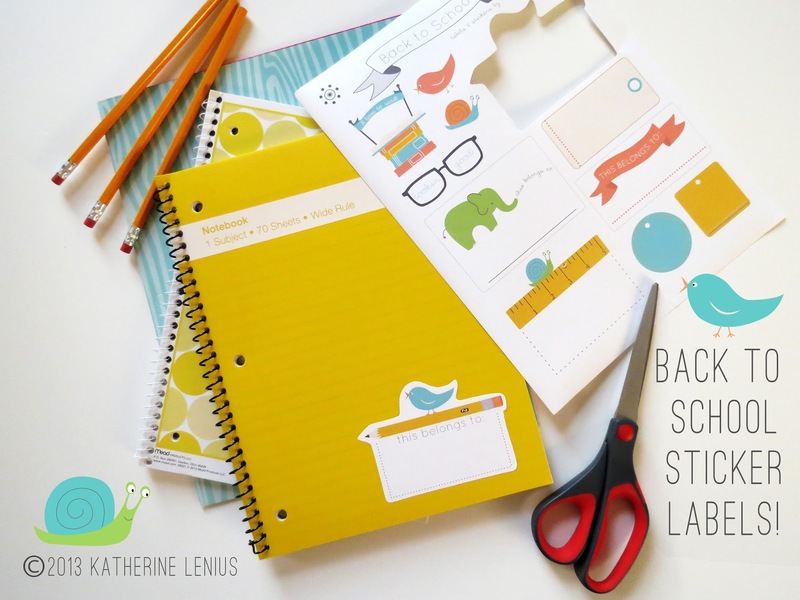 Back to School printable sticker labels! Summer . . . summer is . . . busy. And I've been busy too. With summer. BUT. Summer is soon ending! Around these parts school doesn't start until after Labor Day, so we still have one more week to squeeze in everything we meant to do over the last three months. In reality, my kids are actually pretty excited to go back to school. And I'll let you in on a secret, as much as I love hanging out with them, I'm pretty excited for them to go back to school too. This week we'll be bringing all those new school supplies in to their classrooms (another secret: I love school supplies), so we're busy sorting and labeling. I also kind of love labeling. Is that weird? It seems weird. 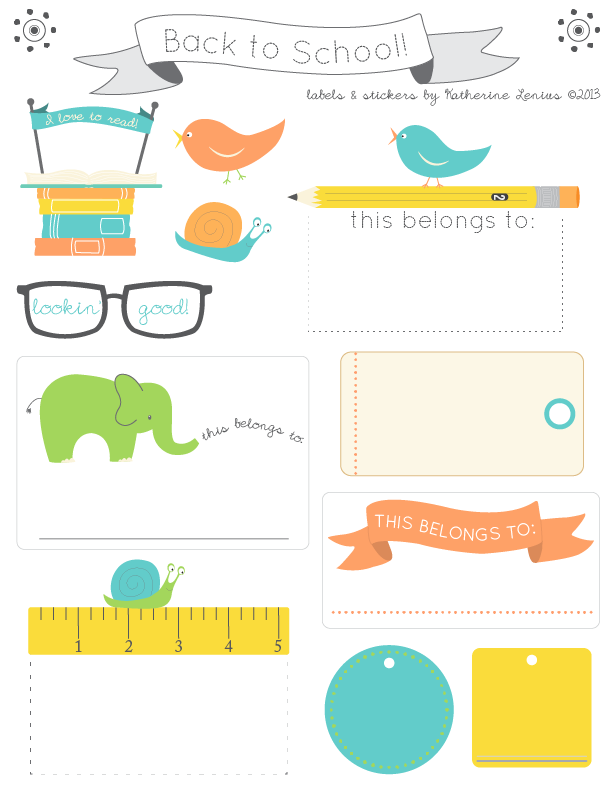 Anyway, I'm mildly obsessed with free printables and this year I tried my hand at making my own "back to school" printable sticker labels for my kids and the whole wide world (if you want them). You can use them for all those shiny new notebooks and folders. I hope you enjoy them and your kids enjoy them too. Happy Back to School! * Simply print on sticker paper (like this) and cut out! You might want to adjust your printer to print at a higher setting and/or on premium paper to get the best results.